Brown Recluse Spider Bites can result in itching, fever, chills, and fatigue. Any individual bitten by the spider should seek immediate medical attention. What are the Causes of Brown Recluse Spider Bite? What are the Signs and Symptoms of Brown Recluse Spider Bite? Children, older adults, and those with frail health may have more severe reactions from the toxin. How is First Aid administered for Brown Recluse Spider Bite? 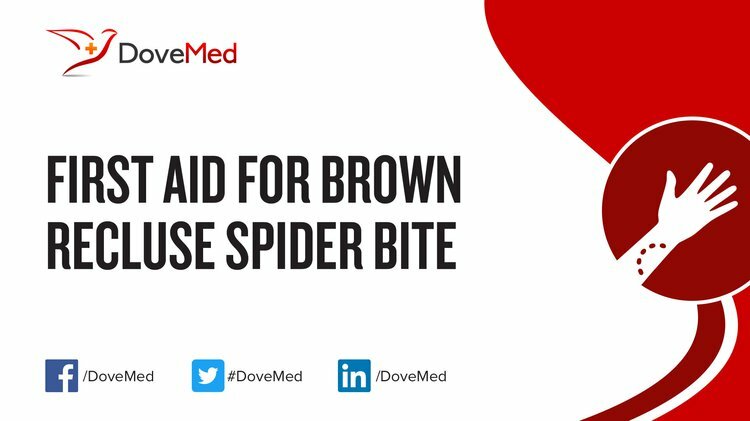 Who should administer First Aid for Brown Recluse Spider Bite? The individual who is affected, or someone near should administer initial first aid, following which one should seek medical help. What is the Prognosis of Brown Recluse Spider Bite? How can Brown Recluse Spider Bite be Prevented? Mintz, B. L. Brown Recluse Spider Bite. Atlas of Clinical Vascular Medicine, 134-135. Gloster Jr, H. M., Gebauer, L. E., & Mistur, R. L. (2016). Brown Recluse Spider Bite. In Absolute Dermatology Review (pp. 287-287). Springer International Publishing. McDade, J., Aygun, B., & Ware, R. E. (2010). Brown recluse spider (Loxosceles reclusa) envenomation leading to acute hemolytic anemia in six adolescents. The Journal of pediatrics, 156(1), 155-157. Hubbard, J. J., & James, L. P. (2011). Complications and outcomes of brown recluse spider bites in children. Clinical pediatrics, 50(3), 252-258. Rader, R. K., Stoecker, W. V., Malters, J. M., Marr, M. T., & Dyer, J. A. (2012). Seasonality of brown recluse populations is reflected by numbers of brown recluse envenomations. Toxicon, 60(1), 1-3. Vetter, R. S. (2011). Seasonality of brown recluse spiders, Loxosceles reclusa, submitted by the general public: implications for physicians regarding loxoscelism diagnoses. Toxicon, 58(8), 623-625. Saupe, E. E., Papes, M., Selden, P. A., & Vetter, R. S. (2011). Tracking a medically important spider: climate change, ecological niche modeling, and the brown recluse (Loxosceles reclusa). PloS one, 6(3), e17731. Isbister, G. K., & Fan, H. W. (2011). Spider bite. The Lancet, 378(9808), 2039-2047. Rosen, J. L., Dumitru, J. K., Langley, E. W., & Olivier, C. A. M. (2012). Emergency department death from systemic loxoscelism. Annals of emergency medicine, 60(4), 439-441.